Eastman Kodak has announced an agreement to sell a large bundle of patents to a consortium of buyers for $525 million. 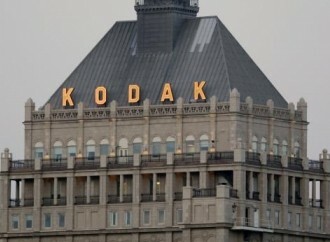 As we reported on back in August, Apple and Google are indeed among the group that will gain access to the Kodak portfolio and other Kodak patents. Furthermore, the deal will settle all patent-related litigation between the imaging company and those buying into the portfolio. It’s not a done deal just yet as the agreement must first be approved by a bankruptcy court. That isn’t expected to happen until sometime in January. Once that step is complete, there will be another 45-day waiting period before everything is finalized and the patents are transferred to the new owners. The 12 companies involved in the agreement include Adobe, Amazon, Apple, Facebook, Fujifilm, Google, HTC, Huawei, Microsoft, Research in Motion, Samsung and Shutterfly. The companies in question were organized by Intellectual Ventures and RPX Corp, according to sources familiar with the negotiations. Intellectual Ventures was created by Microsoft executive Nathan Myhrvold and has emerged as one of the largest non-practicing patent holders over the past 10 years. According to the company, they lay claim to over 40,000 patents and pieces of intellectual property that ultimately get licensed out to third parties. RPX is a smaller publically traded clearinghouse for patents that is based in San Francisco. They were founded in 2008 and currently employ about 125 people. Clients are invited to join RPX on a subscription base that is proportionate to their operating income. The firm also sells patent litigation insurance, surprisingly enough.